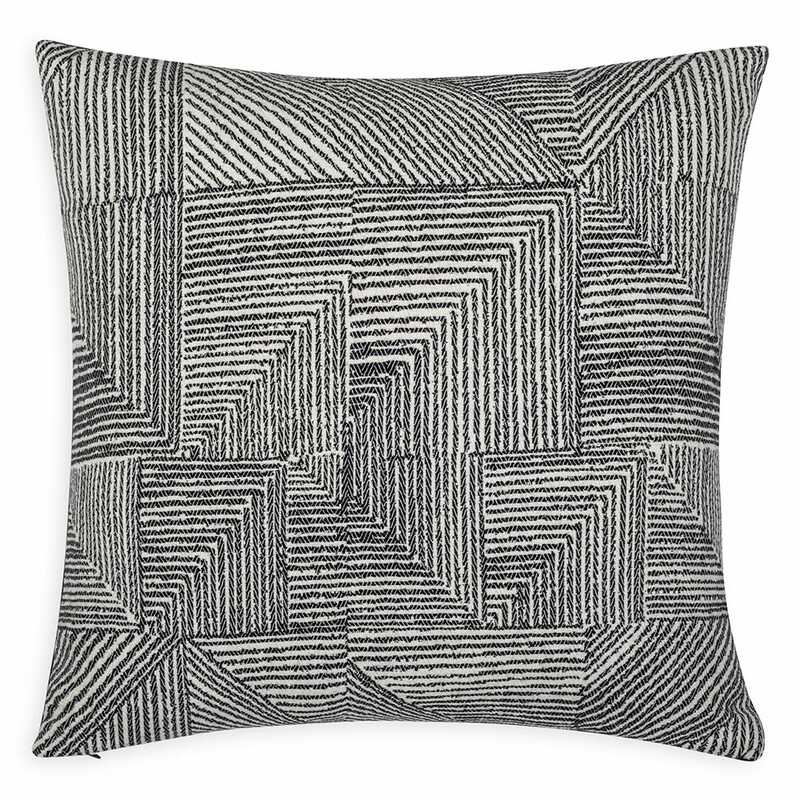 Mismatched twills and traditional African textiles inspire the geometric weave of the Lines cushion. Woven in Britain, this design translates the inky lines of Beatrice Larkin’s original hand drawing into soft merino lambswool. Each cushion is backed by organic cotton canvas and plump with feather filling. After graduating from the Royal College of Art in 2013, Beatrice established her label with the desire to create design-led textiles for the home. A diverse mix of detailed CAD drawings, freehand sketches and manipulated weave structures all come together to generate her patterns. There is a softened geometry in these textiles that derives from an organic approach to clean modernist design.